Beloit, WI – Mark Thomas homered to spark a three-run first inning for the Hot Rods on Friday night in Beloit. Unfortunately, they couldn’t carry that momentum over to the final eight innings in a 14-6 series-opening loss to the Beloit Snappers at Pohlman Field. The Hot Rods wasted no time in jumping out on the Snappers in the top of the first inning against starter B.J. Hermsen. Chris Murrill led off with a single to right field before Tyler Bortnick brought him home with a double off the center field wall to give the Hot Rods a 1-0 lead. The inning continued when Brett Nommensen singled to right field to drive in Bortnick to make it 2-0. After Ryan Wiegand bounced into a well-turned double play, Mark Thomas hammered a long fly ball over the center field fence for his team-leading fifth home run of the season and a 3-0 lead. Bowling Green loaded the bases after Thomas’ blast, but a diving catch of a Ty Morrison pop-up prevented any more scoring. The aforementioned good times ended once the first came to an end. Danny Rams homered against Jason McEachern to put the Snappers on the board in the second. An inning later a force out produced another run off the bat of Angel Morales to cut the lead to 3-2. The wheels then fell off for the Hot Rods in the fourth as Beloit plated five runs against McEachern followed by another five runs in the fifth. The first five came after an error by Julio Cedeno followed by four straight two out hits. An inning later, with reliever Jairo De La Rosa on the mound, the Snappers grabbed another five runs thanks to a double, four singles, and two walks. All ten of those runs scored with two outs. The ten-run rally by the snappers over the fourth and fifth made the Hot Rods brief comeback attempt in the fifth seem small in comparison. With the top of the order facing Hermsen again, Murrill and Bortnick singled in front of a Nommensen walk to load the bases. But before the rally could really get going, Wiegand drove in a run with a force out to second base that cut the lead to 7-4 at the time. 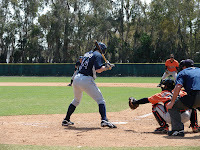 Thomas hit the very next pitch to third to start a double play that ended the inning and the threat with just one run. McEachern took the loss after he allowed the first seven runs to score, although only five two of them were earned. The righty is now 2-6 after giving up eight hits, one walk, and five strikeouts. De La Rosa allowed five runs before Matt Stabelfeld allowed another two in the bottom of the sixth. Alex Koronis pitched a scoreless eighth to keep the scoring at 14-6. Bortnick led the Hot Rods offensively, going 3-5 with his team-leading 16th double and two runs batted in. Murrill had two hits and scored twice while Nommensen added a two-hit night while driving in two runs of his own. Gabe Cohen finished 2-4 with his third double. The teams match up for game two of the season on Saturday night from Pohlman Field. RHP Wilking Rodriguez (4-3, 3.51) will take the ball for Bowling Green with a first pitch at 7:00 PM CDT. You can follow the game with Tom Gauthier beginning at 6:45 PM on 1340 AM WBGN and www.bghotrods.com. get it right only 2 of mceacherns runs were earned!! Thanks for catching that anon. The broadcasters write these after long days and busy play-by-play duties during the game, so they sometimes make small mistakes. We try to catch them before we post, but a few get through. Please always correct us. 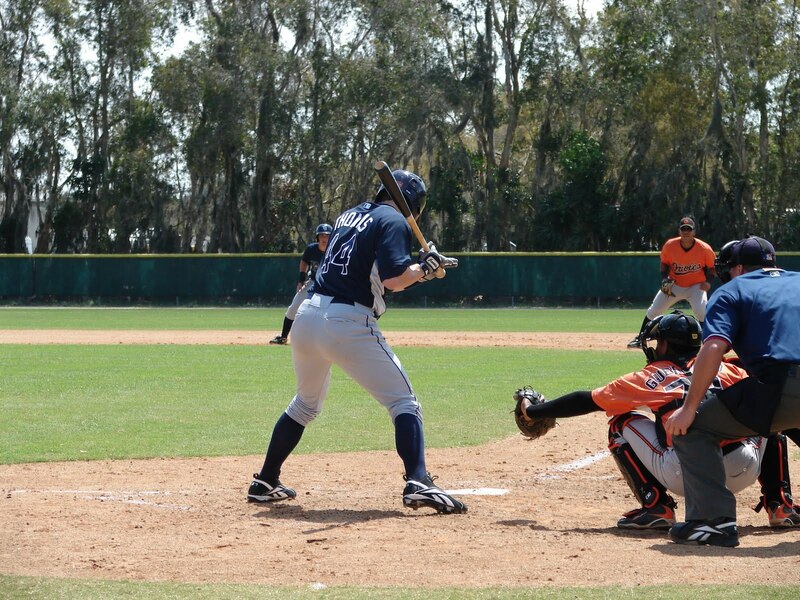 Our goal is to be the one place to go for info on all of the Rays minor league affiliates, and accuracy is important. Thanks again, Doug.